Tattoos have been worn since time immemorial. The ancient world valued tattoos for cultural and art purposes. In the contemporary world, tattoos are taking over by storm. It is not just a preserve for celebrities but anyone can get a tattoo as an expression of personality and style. Tattoos are trending at the moment and are being accepted outside of pop culture. People who wore tattoos were regarded as controversial or repulsed in the mainstream spheres of life such as family and the corporate world but we now have corporate entities working with tattooed individuals like sportsmen. 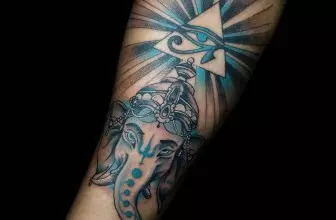 The conservative inhibitions that came with tattoos are being lifted, but this does not mean that tattoos will be accepted fully as powerful persuasions such as religion still abhor the drawing of skin. 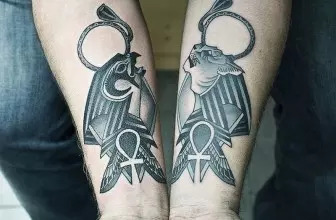 That aside, the kind of tattoos in the contemporary world are undergoing changes, the designs and art are evolving till we now have new school tattoos. To know what tattoos are all about, it would be constructive to know what distinguishes an old school and a new school tattoo. Old school tattoos are those basic tattoos which are sometimes referred to as traditional or cursive. They are classical art forms which are predominantly black in colour and patterns were mainly thick lines. They do not involve mixing and their absence of colour is glaring. They are bold, bright and electric. 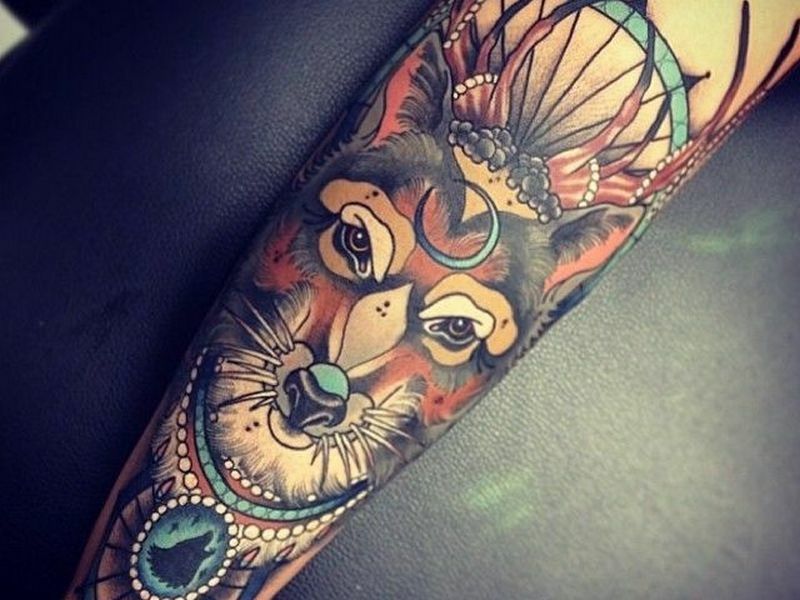 These tattoos exude a lot of colour and personality. The use various combinations and a mixture of colours. 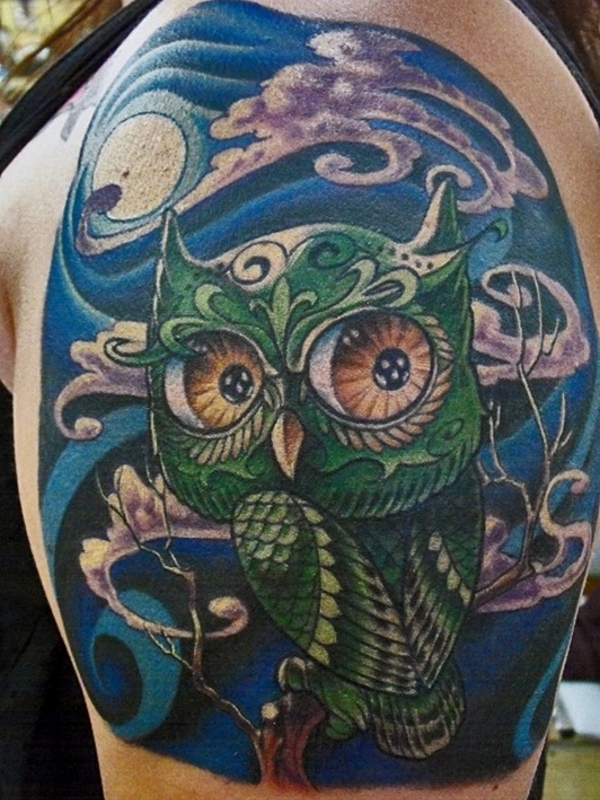 The designs of these tattoos are complex and bring out realism. They bring about great effect due to their 3D appearance. When they are being tattooed on your skin, a variety of needles will be used because of the delicate nature of designs that ae the final product. The blending of different hues requires time and high skill. They are elaborate and have quite some details. 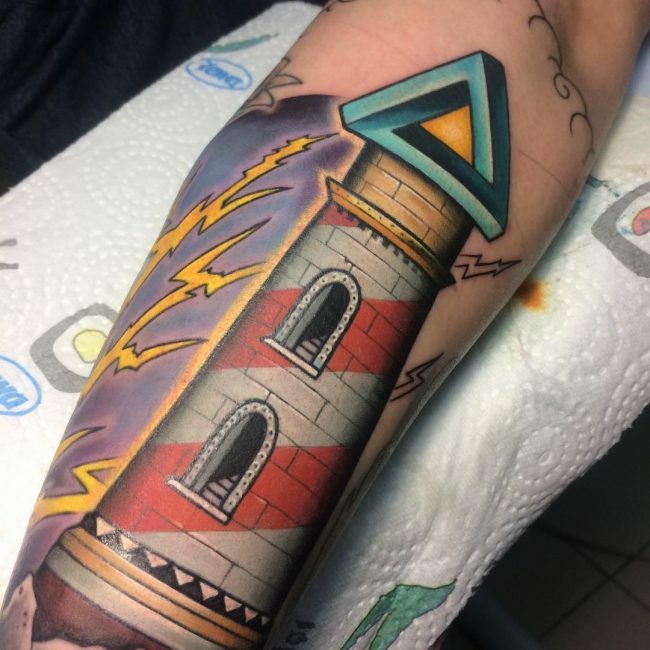 These ttattoos use modern equipment with new techniques and newfangled ideas. Apart from old school and new school, there are also other types of tattoos. These include black and gray, Asian type, script, tribal and biomechanical. All these have their themes that you can tell apart. When it comes to new schools tattoos, there are themes of this type which make it distinguishable from the rest. Themes that lie in this category are graffiti tattoos, hip hop themes, bubble lettering, jagged edges, sea creatures and fantasy. Tattoos that are in those shapes, forms and representations form the new school art form of tattooing. 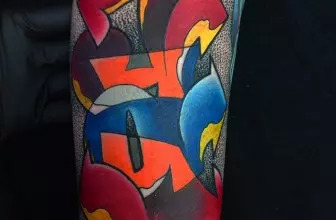 To begin with graffiti, this is a tattoo art form that borrows heavily from the street art form of graffiti. The graffiti culture was once used to portray messages of change, they had political and societal impacts. This art form in time became commercialized and has since become an art form on walls, streets and canvas. 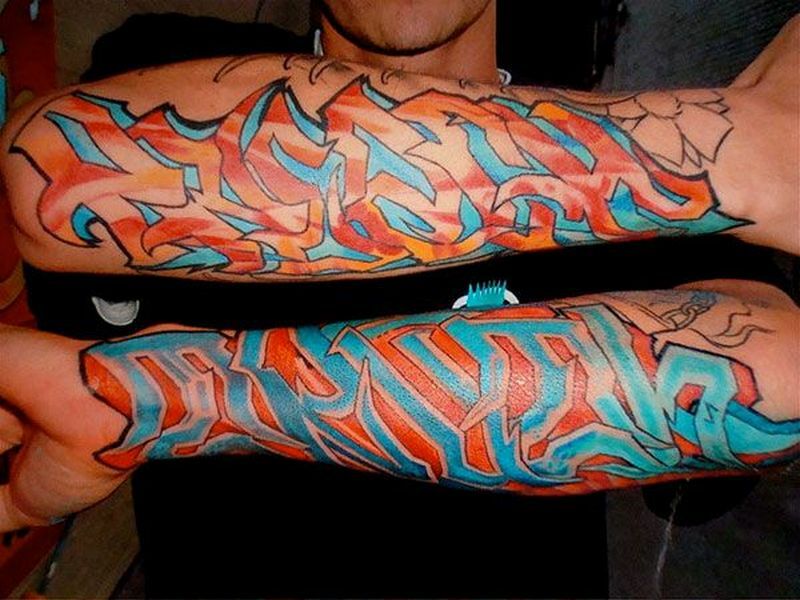 So graffiti tattoos mimic what one sees on the walls, with splashes of colour and art. Graffiti has come from the walls and onto the skin. For those whose desire is symbolism, they can tattoo graffiti, if they want screaming art, graffiti is one of the most appreciated art forms. Coming in close relation to graffiti is hip hop. Hip Hop is a culture, it is not just the beat and music. There is a symbolism that is closely associated with hip hop. This symbolism can be expressed through imagery. Hip hop tattoos symbolise loyalty and hope. Tattoos such as skulls, stars or even your area code could be tattooed on your skin. These symbolise loyalty. Skulls have different designs and the hip hop community uses them as symbols of different gangs and tattooing of those skulls spells loyalty to a particular gang. Tattooing aspects of you hometown like popular spots or even a legend of your hometown can be construed as a hip hop design. Hip hop is associated with the self, as in, self-expression which can be mild or extreme. So tattoos which express your inner personality can be drawn. 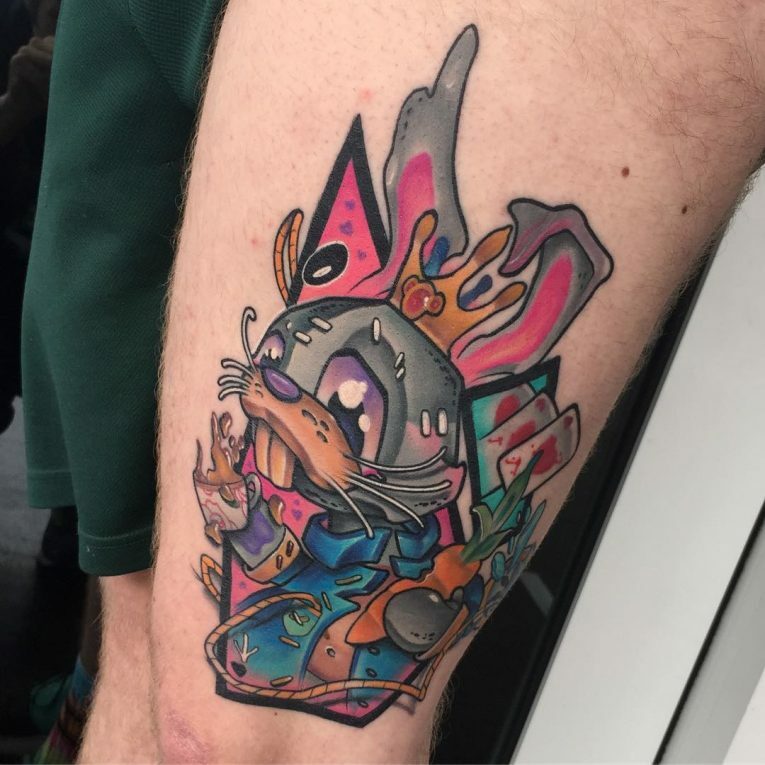 Fantasy tattoos are for those individuals with a creative personality and they would like over the top imagery art on their skin. They can be quite colourful or dark depending on the choice of fantasy creature or theme. As the name suggests, fantasy is only limited by your imagination. 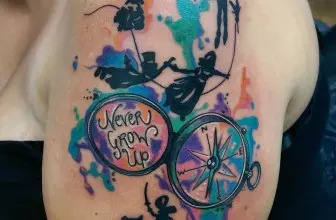 Fantasy tattoos can symbolise hope, dreams and our wildest imaginations. In fantasy tattoos, man would prefer fantasy figures such as mermaids. Men’s fairy tattoos can be of fierce and cunning fairies while women go soft with fairies which symbolise innocence and peace like wings of a dragonfly. 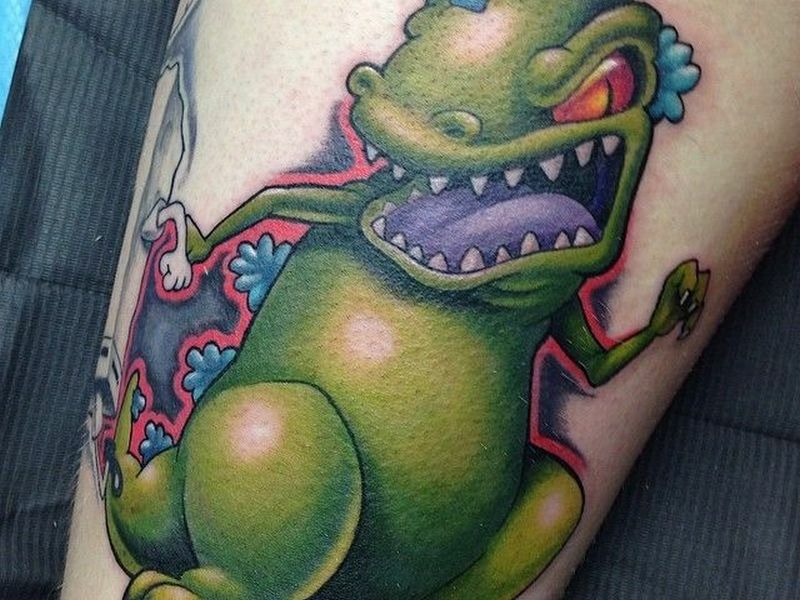 Fantasy tattoos really depend on one’s personality. 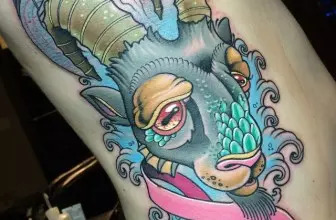 Under the fantasy tattoos category, images of mythical creatures such as dragons, unicorns, wizards and the phoenix are popular. They all have their meanings like mermaids denote seduction and beauty, unicorns stand for purity and uniqueness, wizards symbolise magic and power while the phoenix means a rebirth and progress. 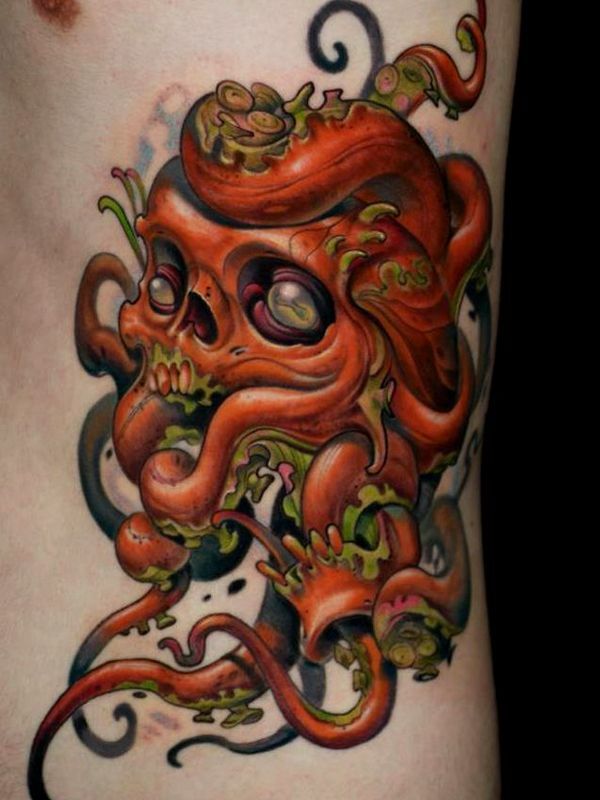 These tattoos incorporates sea creatures. Popular sea creature tattoos include sea horses and water life totems. The color blue would be dominant in these type of tattoos for the ocean and marine life. These tattoos of ocean life could symbolise that we are telling the world our innermost thoughts through the imagery on our skin. Sea creature tattoos are bright with an element of playfulness. Bubble lettering tattoos can be in different handwriting forms to bring out style and variety whereas, jagged edge tattoos complement the pattern of tattoos on your body. Lettering can be uniquely designed in different fonts and colors. Jagged edge patterns are some of the most popular for those who want simplicity. You can choose either of these tattoos styles in this category. They are symbolic and carry a lot of weight, so for those seeking to have a meaningful art piece on their skin, they can go ahead but if you just want to have some fun and pay tribute to tattoo as an art form, then you are welcome. These tattoos are taking over and here to stay.